Charge batteries and power LED lights directly. 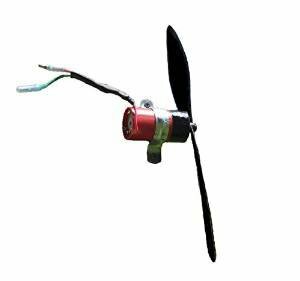 The Small Wind Turbine Generator starts power production in 8 mph winds and has very good prop acceleration for efficient power production. The turbine is one piece so no assembly is required. It can charge most batteries and works well at home, for RVs, boats, remote cabins, and camping. Many people around the world are using these wind turbines because they are safe, efficient, and user friendly. In addition to tower installation for charging batteries, wind turbines can be used for testing and experimenting with new inventions. This wind turbine has been used on vehicles, bicycles, kites, and kinetic wind sculptures. 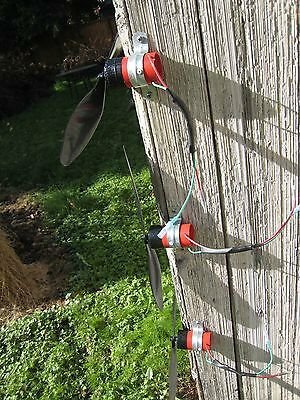 A 15″ long prop is included along with a diode, 8 ft long, 14 GA power cable and detailed instructions for testing. Generate up to 15 watts while charging a 12 volt battery. 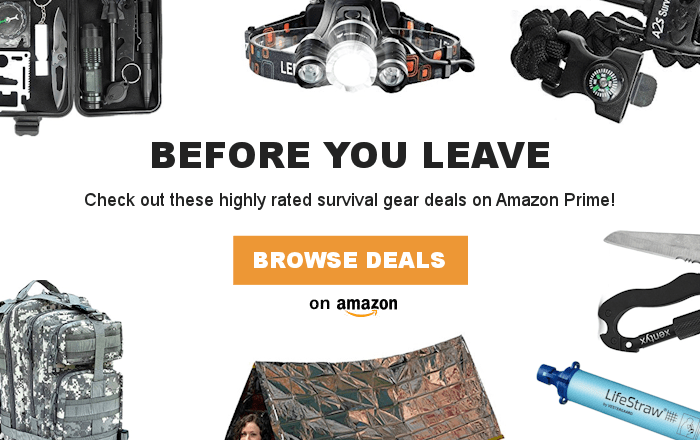 Power LED lights, personal electronics, air pumps, and more. These wind turbines are commonly used with solar to help keep a battery topped off. Build new inventions, kinetic art installations, and home wind power systems. 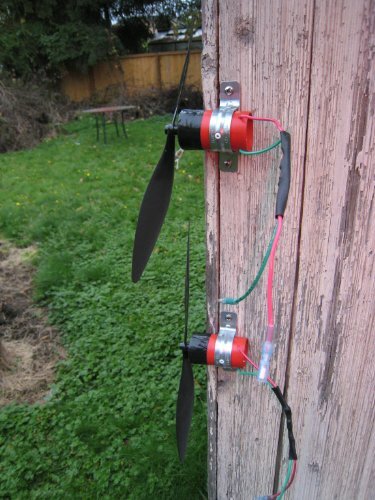 15″ long propeller included with a diode, LED light, 8 ft long 14 GA power cable and detailed instructions for testing.